Ash Fork Joint Unified School District #31 will be participating in the National School Lunch Program and the School Breakfast Program. 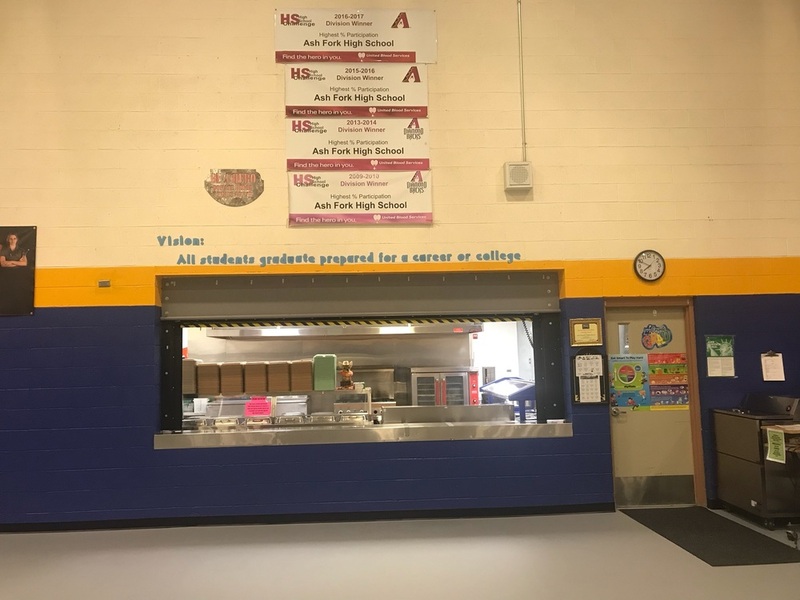 As part of this program, Ash Fork Elementary, Middle, and High Schools are implementing Special Assistance Programs will offer healthy meals every school day at NO COST to the students due to the implementation of Provision 2 for school year 2018/2019 School Year. Students will be able to participate in these meal programs without having to pay a fee, but must still fill out an application for free or reduced meals. We are participating in a base year, and must have all families submit an application. Families can apply for benefits at any time. If a household member becomes unemployed or if the household size increases, the household should contact the school. Such changes may make the children of the household eligible for benefits if the household's income falls at or below the Federal Guidelines. Contact Michelle Coffey at any time to request an application. Temporary Assistance for Needy Families (TANF), if the State program meets Federal standards. Enrolled in an eligible pre-kindergarten class. For more information, you may call Michelle Coffey at (928)637-2561 or e-mail at mcoffey@afjusd.org.